The Fernkloof Hall was overflowing on Friday evening with both HBS members and guests looking forward to learning more about botanical art as interpreted by Barbara Pretorius. Barbara has been painting flowers for thirty years or so. She loves plants as a whole life form. The colourful petals attract your attention in the first instance, but Barbara was at pains to demonstrate that close examination of the shapes and textures of other plant parts such as corms, stems or leaves brings great rewards. She taught us that looking at the living world though an artist’s eye opens another whole dimension to the enjoyment of our floral kingdom. 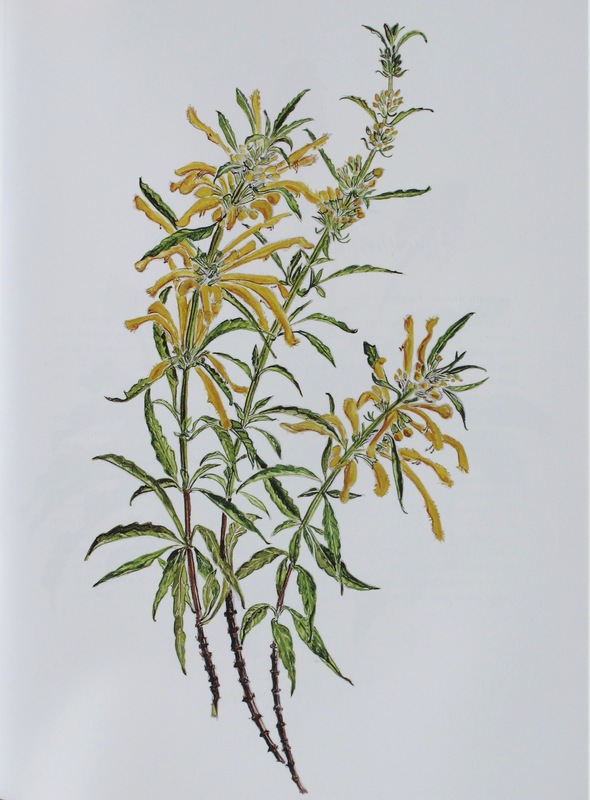 She brought copies of her delightful book with her, in which she relates snippets of fascinating historical and medical information relevant to the plant she has chosen to illustrate on each page. It being the HBS’s traditional Soup and Sherry evening, the audience then turned to the difficult decision of choosing from the variety of delicious soups on offer. That problem solved and with a glass of sherry on the side, long-standing and new members enjoyed chatting to each other with the companionship of a shared interest. The photo included here is from Barbara’s book. The HBS has a copy in the library so please contact our librarian, Ann Mapham, if you would like to borrow it at any time.